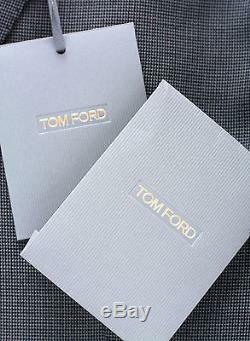 Curated luxury ready-to-wear at exceptional value. 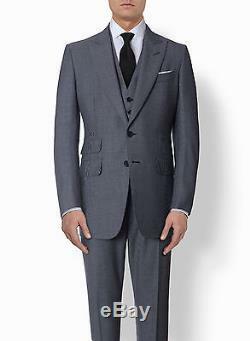 Buckley Slim-Fit 3Piece Suit In Gray. Size: IT Size 48 R / US 38 Reg Pants size: 32. 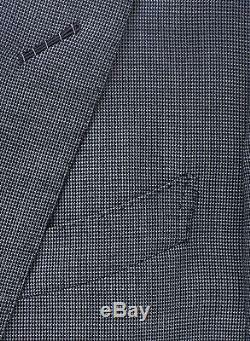 Fabric: 68% Mohair 32% Wool. Medium weight Can be worn 8-9 months in climates like NY or 5-7 in warm weather climates e. Fit: The Buckley fit is a slim throughout the jacket chest and waist. A shorter cut jacket and narrow shoulders provide a sharp profile and strong, masculine look. 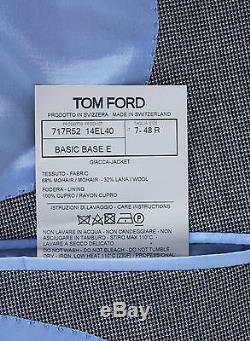 The flat front trousers are tapered through the leg with a narrow opening. 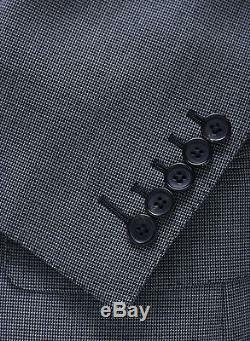 Style Details : Two button peak lapel model with a lightly padded shoulder and narrow lapels. 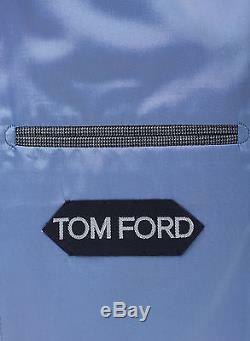 Two front flap pockets at the jacket waist. Finished sleeves with 5 buttons on each side. 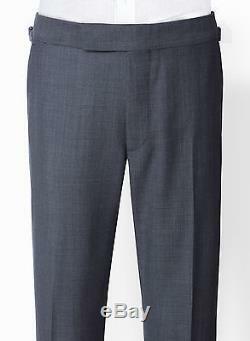 Flat-front slim-fit trousers with side adjusters on waist. Six button front waistcoat with four front pockets and an adjustable back. Waist: 32" (2" to let out). 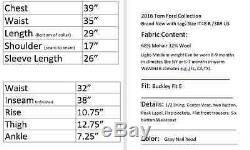 The item "New TOM FORD Gray Slim-Fit Suit 2016/17 Buckley Wool 38 R US/48 IT 38R $5450" is in sale since Saturday, December 03, 2016. 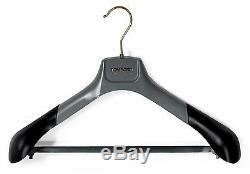 This item is in the category "Clothing, Shoes & Accessories\Men's Clothing\Suits". The seller is "shop_kanvas" and is located in West Palm Beach, Florida. This item can be shipped to North, South, or Latin America, to all countries in Europe, to all countries in continental Asia, to Australia, ZA, to New Zealand.